Summary: Our top choice with it’s ease of use and high success rate. Great for those starting a diet and those looking to lose more weight. Coupon/Promotion: Get 1 Free Week Of Food. 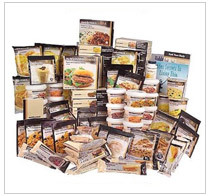 Nutrisystem.com – Nutrisystem is one of our top picks for diet programs. How does not having to decide what or where to eat for an entire month sound? It's main advantage is that it provides all the food you'll eat within a month for you in order to make sure you lose weight. This is great for people looking to lose weight who don't want to follow a complicated diet program. All you need to do is place your order, receive the food and then follow your personalized diet plan on what and when to eat. Once you place your order, your food will arrive along with 1 week worth of free meals (depending on the plan you order). Your order will be express shipped and be delivered to your front door. You will also receive a Welcome Kit that features a checkbook-sized Meal Planner and a detailed exercise guide to keep you fit. This planner outlines your daily meals and guides you on how to proceed with your day to day exercise program. The NutriSystem plan is very easy to follow: for each meal, you just grab a NutriSystem entree, add-in a few grocery items (like fresh fruit, vegetables, salads and dairy items), and you're ready to go.